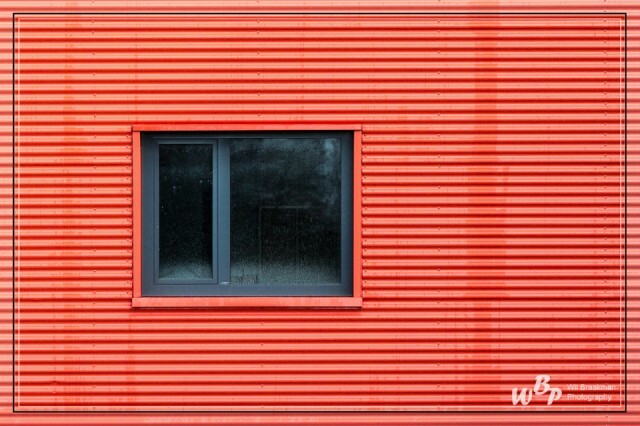 Yesterday the lines photographed in the aluminum wall of a factory. Today I came across a very colorful wall. Was a bit further away from the road and with a 200 mm telephoto lens I had to crop the photo reasonably well to get a good picture.